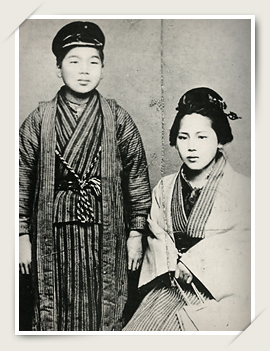 Eisai's Founder, Toyoji Naito Part I | Eisai Co., Ltd.
Toyoji in the sixth grade with his eldest sister Noe. The kimono worn by Toyoji in the photo was hand-woven by Noe as a present for his early elementary school graduation. In his second year of middle school too, however, Toyoji came to a different decision. 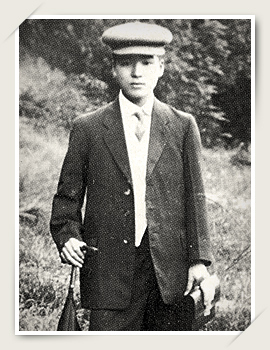 Rather than spending the time and money on obtaining academic credentials by graduating middle school, high school and, later, college, Toyoji resolved to drop out of middle school there and then and establish himself in the world through independent study via correspondence courses and practical experience. Furthermore, he also began to learn English from a priest brother-in-law who had studied at the National English Association in Tokyo, a move by Toyoji that would later provide him with a competitive edge early on his career. In 1905, Toyoji left Ito at the age of 15 and moved west to Osaka. Although he first began as an apprentice at a mother-of-pearl button factory, the English skills he had built up led him to a new apprenticeship at Winkel Shokai, a German-owned trading company that was looking to take on a Japanese national proficient in English. This position required him to move to nearby Kobe, a port city in Hyogo prefecture. 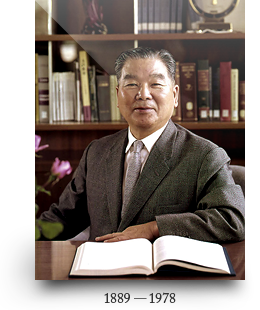 Toyoji knew that learning foreign languages would likely continue to prove useful in his career and began to study German and Chinese at night school after work in addition to furthering his English. With so many foreigners living and working in Kobe, he was able to make immediate use of his language skills. Toyoji was also required to interpret as part of his responsibilities and learn about the export and import business through hands-on experience rather than being confined to merely burying his head in books. Once Toyoji turned 20 years old, however, he took the military enlistment screening test as was customary at the time and joined the Japanese Imperial Guard. As fate would have it, there he was found to be inherently unable to look at things through just one eye. As a soldier unable to close one eye during shooting practice, nor fire a gun, Toyoji's only option was to become a military medic. It was through his two-year military service that Toyoji first learned about medical treatment and medicines, which ultimately served as a major factor in his entering the pharmaceutical trade upon his return to Kobe. Toyoji preferred a smart style, wearing suits and ties at a time when a traditional Japanese sash and apron were the norm. 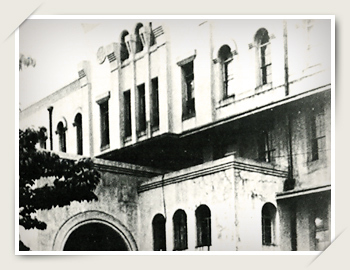 After completing his military service in 1911, Toyoji returned to Kobe, which he had by now come to regard as a second home, to work at a British-owned pharmaceutical trading company called Thompson Trading Co., Ltd. At the time, Thompson Trading served as the exclusive Japan distributor for pharmaceutical companies from all across Europe, and the company happened to be looking to hire an English-speaking Japanese person who possessed some knowledge of medicines. Toyoji soon realized, however, that what he had learned during his time as a military medic was far less useful in real life. Toyoji immediately began studying profusely by reading books about medicine in their original language, looking up almost every single term as he went. As a result of his hard work, Toyoji rose steadily to become a top-notch sales representative, traveling from western Japan to as far as Tokyo in Japan's east to introduce new products to doctors and pharmacists. Thanks to his efforts, sales at Thompson Trading grew with each passing year, and the company did so well that they were able to employ several new staff three years later. The Eisai tradition of placing strong emphasis on thorough product information distribution through activities such as employee sales pitch contests and other initiatives to this day are indeed the product of Toyoji's experiences at Thompson Trading.